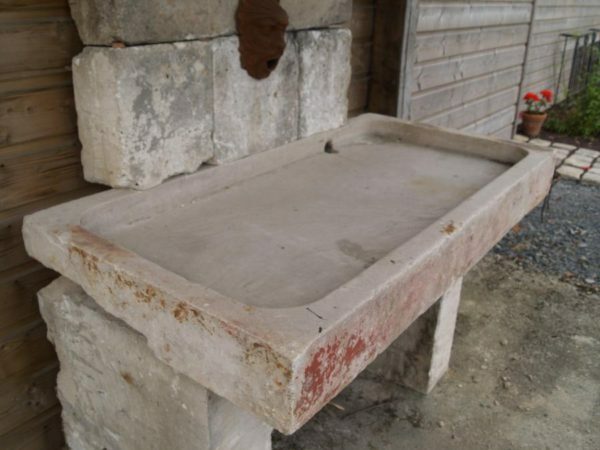 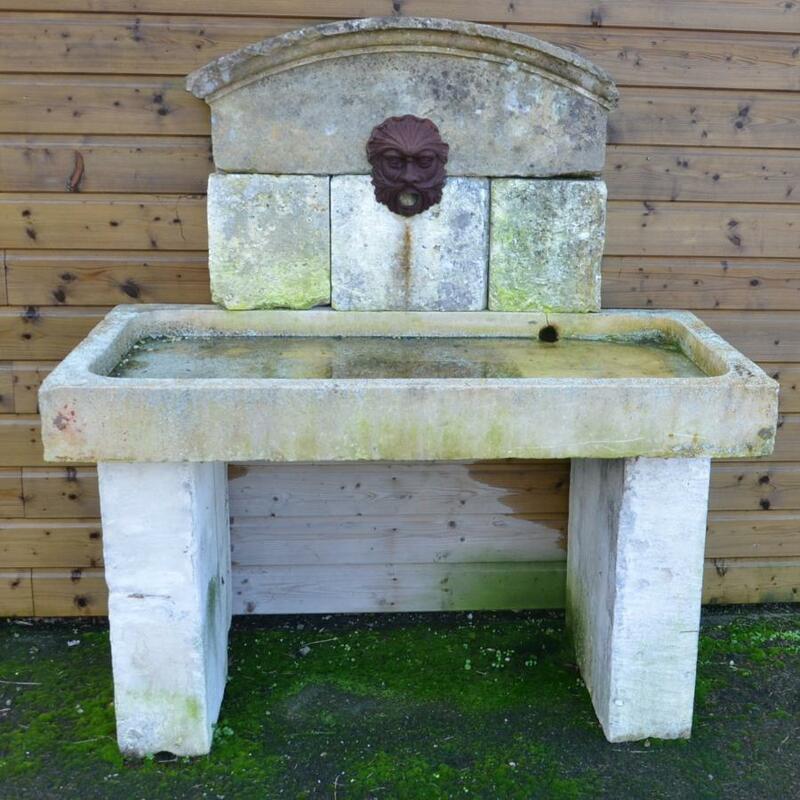 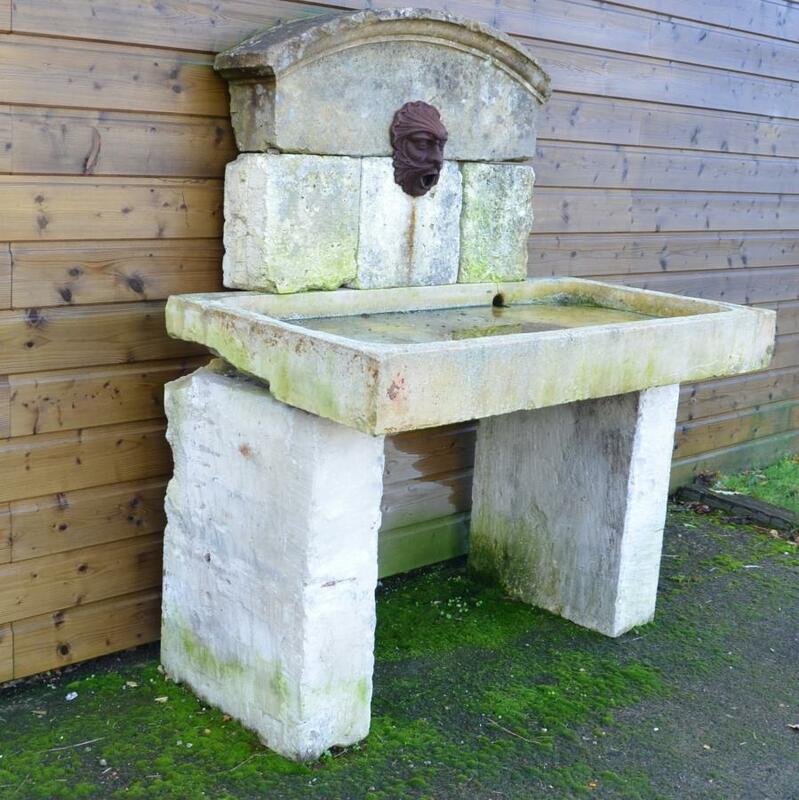 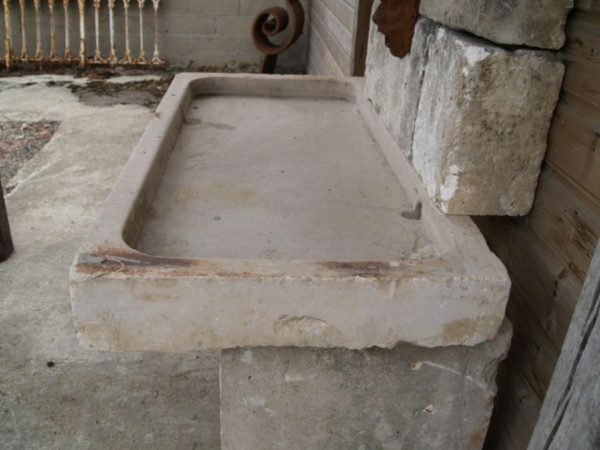 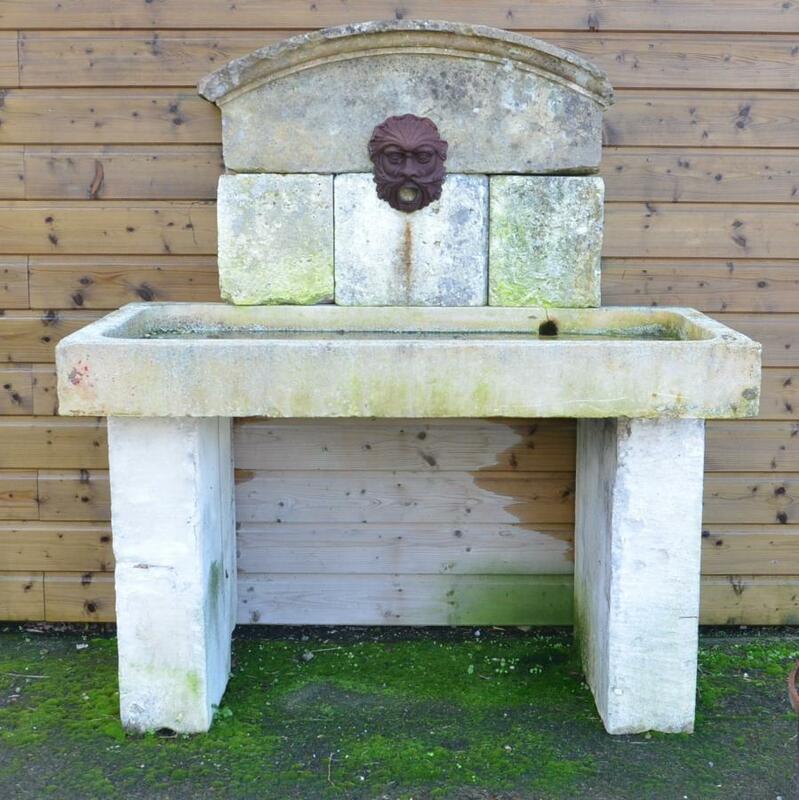 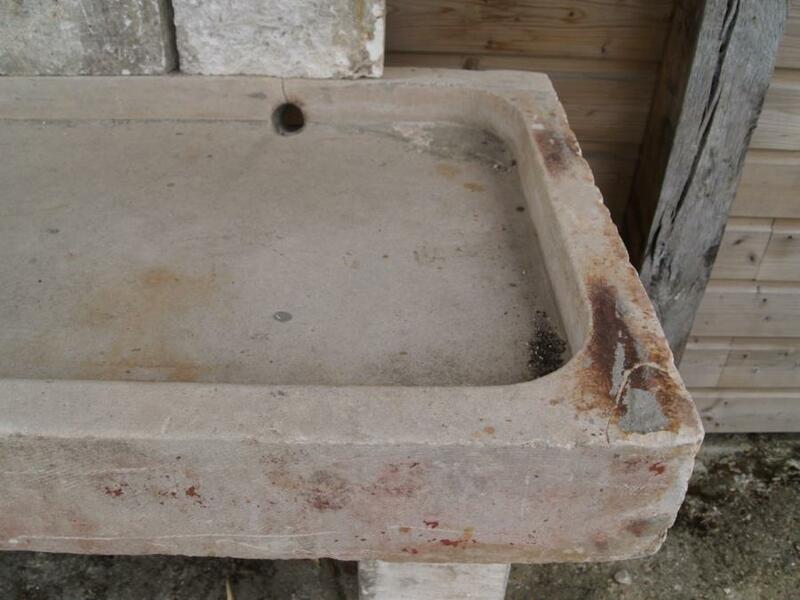 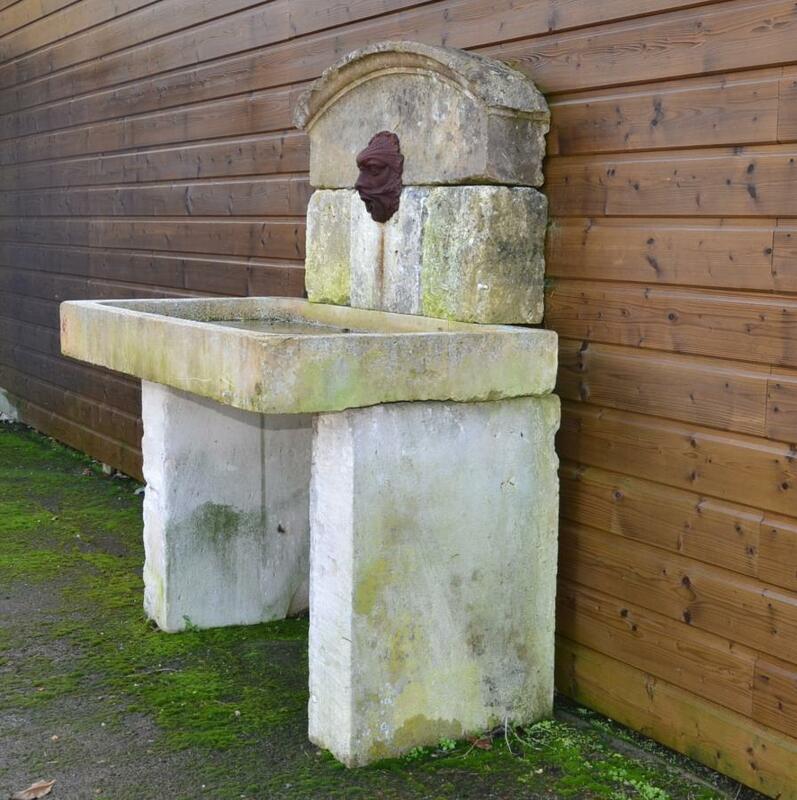 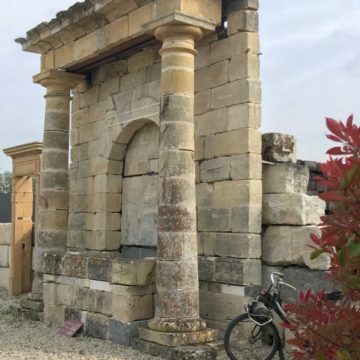 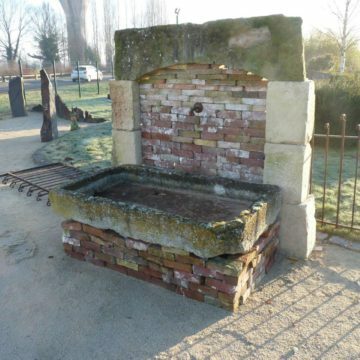 Antique wall fountain assembly featuring an antique limestone sink, and back piece, on two limestone supports. 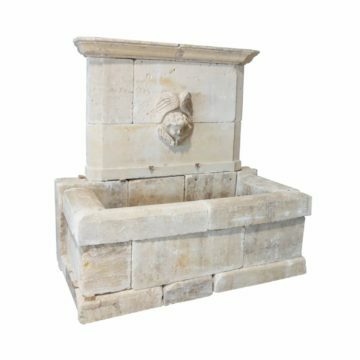 Dimensions approx: Height 153cm (60 inches) x width 133cm (52.5 inches). 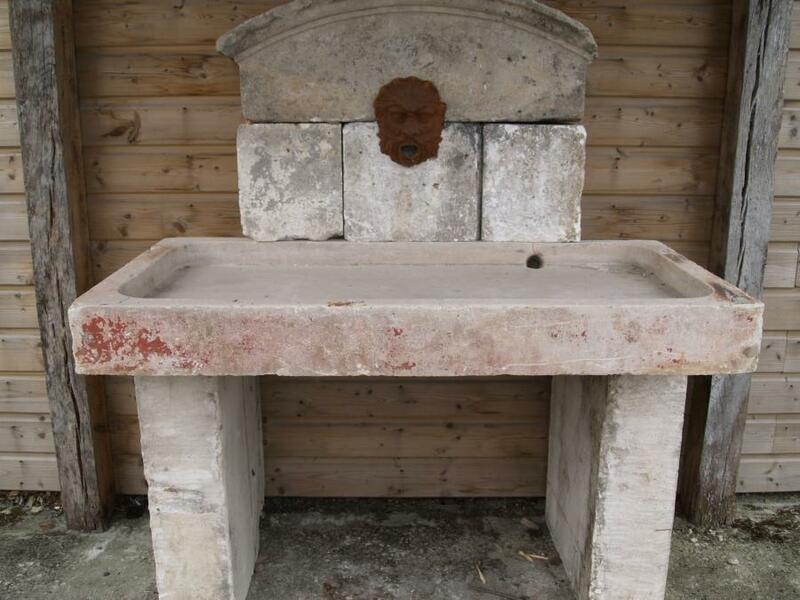 Front-to-back 80cm (31.5 inches). 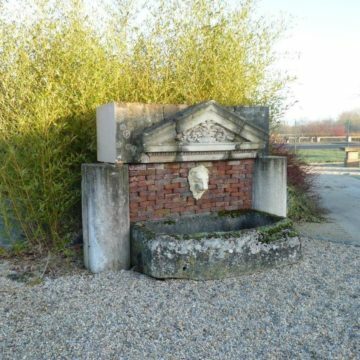 On exterior display at BCA’s Normandy premises at Méry Corbon, between caen and Lisieux.